For those who seek property that combines European sophistication and California comfort, perhaps the best way to find it is through the services of Ryan Davis, one of the Los Angeles area's top real estate agents. Raised in the cosmopolitan city of Toronto, Davis, 40, brings an international flair to his clients' needs. An avid competitor, and a scratch golfer, Davis left the family insurance business to pursue Southern California real estate. By all accounts and measures Davis has taken the market by storm. Credit Davis's success at quickly finding the right property for his clients to four distinct attributes. He makes it a point to listen, decipher and learn what makes up his clients' want list. Davis has a passion for architecture and design, and so knows the market well. He brings a Midwestern value and ethic appreciated by both his celebrity and high net worth clients who covet ultimate discretion. Finally, Davis's own mantra is that the greatest joy life has to give is a chance to work hard at work worth doing. Combine all this as well as the intangibles, and they are a recipe for success all his clients enjoy. 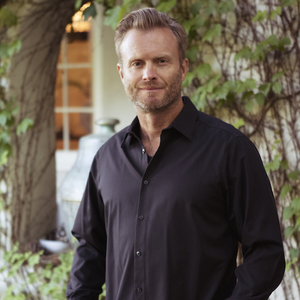 When he's not poring over the Los Angeles real estate market, Davis enjoys spending time with his wife, Annie Jagger, and their two beautiful children: Tyler, 13, and Lily, 7.